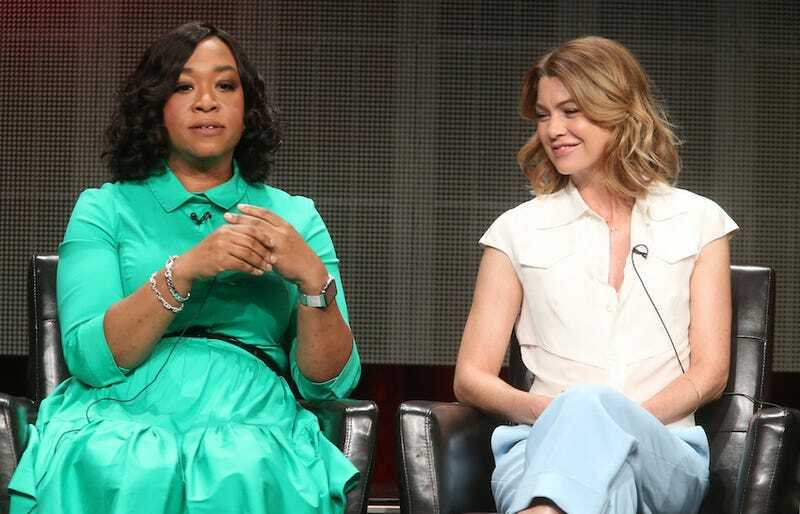 Shonda Rhimes, a woman with an indestructible ability to make zippy, soapy television, is bringing her special touch to yet another show —a Grey’s Anatomy spin-off featuring the firefighters of Seattle. According to The Hollywood Reporter, the spin-off was ordered straight to series on ABC and will get its start in a planted episode of Grey’s, meaning that a future episode of the medical drama will introduce the magical Seattle firehouse and the characters that inhabit it. There’s no title for it yet or official plot description, but THR reports that it will be similar to, uh, all of Shonda’s shows: instead of mining the personal and professional lives of doctors, political fixers or a doctor who works at a private practice, it’ll focus on firefighters. So, they’ll fight some romantical fires and some actual fires and we will all stare at the TV and wonder how it is they’re able to do their jobs without getting fired (sorry), all set to a killer soundtrack and bolstered by rapid-fire monologues and weird, breathy enunciations that do not accurately reflect how real people speak. Also, you’ll end up watching one episode because it was on and you were curious, and it’ll become your new Big Show. Maybe you’re thinking this show sounds suspiciously like Chicago Fire, a show about firefighters based in Chicago and not Seattle. You’re right, sort of, but also kind of wrong. “No one can interweave the jeopardy firefighters face in the line of duty with the drama in their personal lives quite like Shonda,” ABC Entertainment president Channing Dungey said. “Grey’s signature Seattle setting is the perfect backdrop for this exciting spinoff.” Damn, can’t argue with that logic. No word yet on what episode will introduce the characters of Unnamed Seattle Firefighter Love, Life and Happiness Show, but THR notes that in the season finale of Grey’s Anatomy, there’s an explosion at Seattle Grace. Ah,sweet synchronicity.